Sorry for the strange email you may have received yesterday from JUP Girl titled “Follow Me on Bloglovin!” with a random link in the body of the post. It was sent to you by mistake. I’m still trying to figure out how this “blogging stuff” works. I signed up for a website called Bloglovin’, where you can follow all the blogs you love (like JUP Girl!) in one place. The site will even send you a daily digest of your blog subscriptions directly to your email account. You can find me here. I’m still trying to get the hang of things, so I apologize for the random post notification email. In order to verify my blog on Bloglovin’, I was required to post a special link on my blog. You were lucky enough to get this special link sent to you via email (NOT)! Technology makes my head spin! Kind of what I look like trying to navigate the world of blogging. In other words, why I decided to stick with a hosted site for now. Pour me another margarita please! I’ve learned that a large part of blogging is trial and error and yesterday was definitely an error. Thank you to all of my supporters who have been with me from the beginning (especially JUP Mama and P), as I try to make JUP Girl better and more useful for my fellow Floridians / Floridian-wanna-be’s / vacationers / readers. And here’s another shameless plug to follow me on Bloglovin’: http://bloglovin.com/jupgirl. 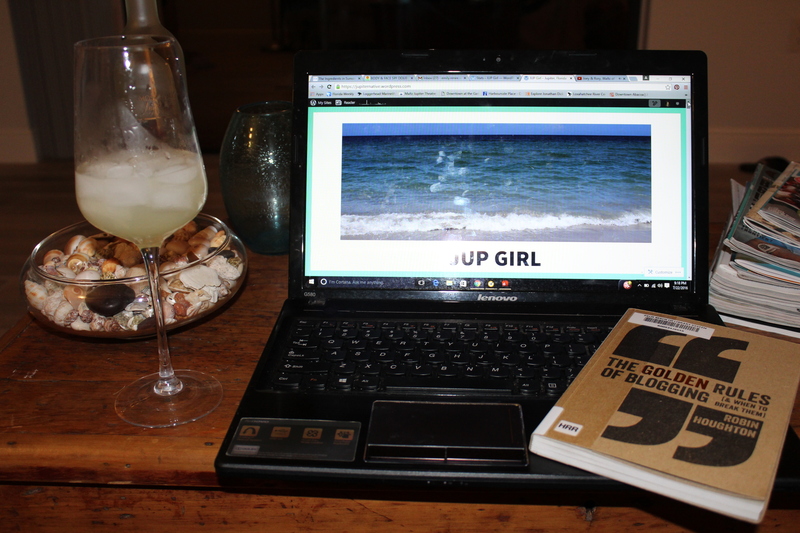 I’m hoping there will be some big changes coming to JUP Girl soon, including a lovely upgrade to my own domain name! Stay tuned! Enter your email address to follow JUP Girl and receive notifications of new posts by email.